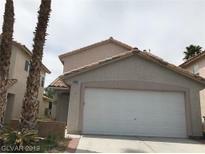 Below you can view all the homes for sale in the Silverado Springs subdivision located in Las Vegas Nevada. 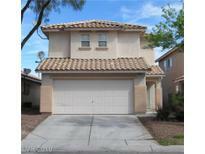 Listings in Silverado Springs are updated daily from data we receive from the Las Vegas multiple listing service. To learn more about any of these homes or to receive custom notifications when a new property is listed for sale in Silverado Springs, give us a call at 702-323-5939. Enjoy relaxing & entertaining in the spacious backyard - huge patio area with trellis, artificial grass, and desert landscaping. MLS#2090086. Keller Williams Market Place I. Good Size Backyard With Pool And Covered Patio. MLS#2089040. Nevada Real Estate Corp.
Centrally located to shopping, schools, parks, freeway access, and strip! MLS#2085374. Terra West Management Services. You Don'T Want To Miss This Gem. MLS#2083357. Allure Realty Group LLC. Ceramic and wood like floors in living room, stairs, hall ways and loft area MLS#2077170. City Villa Realty & Management. Living room w 1/2 bath & a 4th bedroom downstairs.OMG at the top of the stairs is a huge bonus.Master has a double sink& walk-in.Bedrooms are carpeted & the rest has 18x18 tile.Don't forget the 2 car MLS#2076003. Limestone Investments LLC.